Nikolai specialises in international commercial projects, litigation and international arbitration. Originally from Russia, he has advised some of the world’s largest companies and financial institutions, as well as ultra-high net worth individuals in complex, high-value and sensitive multi-jurisdictional transactions and disputes. Nikolai's practice at 3PB covers diverse commercial and common law areas, including international commercial litigation, trusts and offshore structures, real estate, technology and construction, international crime and fraud, asset tracing and recovery in multi–jurisdictional commercial and matrimonial cases, interim relief - including worldwide freezing orders, international enforcement of foreign judgments and arbitral awards - shareholder and joint-venture disputes, and international arbitration. Nikolai is a qualified solicitor who previously worked with a leading international city-based legal practice, where he gained diverse experience in emerging markets, corporate finance (including pre-IPO restructurings of multinational companies, IPOs and secondary listings, M&A and private placements), banking, infrastructure and real estate, tax (including offshore tax optimisation structures for multinational corporations and ultra-high net worth individuals) and international commercial litigation. He is actively developing his chambers' international practice, with a particular focus on Russia/CIS and promoting the English Bar internationally by fostering a legal exchange between Russia/CIS, Ukraine, Central Asia and the United Kingdom. An energetic public speaker, Nikolai often addresses high profile audiences at leading international forums. A regular media commentator, he is available for interview via his chambers. Assisted a collapsed $60bn London-based SIV in an anticipated hostile creditor action. Advised a co-defendant in a multi-billion US dollar dispute involving a state-owned Central Asian Bank. Assisted in obtaining freezing injunctions for an Icelandic bank. Assisted in re-insurance claims for a leading German re-insurance company. Assisted an African mining company in a dispute relating to a bribery allegation. Assisted a leading Irish bank in a dishonoured Letter of Credit dispute with an Indian counterparty. Advised in a high profile multi-million pound divorce settlement following a successful asset tracing and recovery exercise. Advised owner of a leading Russian supermarket chain in a breach of contract action against ex business partners, including advice on obtaining a worldwide freezing order and other interim relief. Advised a Russian party on procedural issues in a prominent CIS banking fraud litigation. Advised on the acquisition by Kazakh and Chinese state oil firms of one of the largest Kazakh upstream enterprises, as part of a $10bn "loan for oil" deal. Advised on a takeover of a leading European football club. Assisted a London-listed Russian mining and exploration company in the acquisition of a major gold mine in South-eastern Russia. Assisted a London-listed South American petroleum production and development company in fulfilling compliance requirements on the London Stock Exchange. Assisted a London-listed media technologies corporation in an issuance of loan notes. Assisted in a major financing of twenty aircraft for a Middle Eastern airline. Assisted a leading UK bank in the financing of three aircraft and two Eurocopters. Assisted a leading Russian bank in a €400m Sukuk issuance. Assisted the government of Turkey with its sovereign note issuance programme. Assisted a Namibian desalination plant in its international asset sale. Assisted a private consortium in the syndication of a €2.2bn loan for the Elefsina-Korinthos-Patras-Pyrgos-Tsakona toll road, Greece's largest infrastructure project. Assisted an Asian electricity distribution company in the restructuring/relocation of assets in the EU. Assisted a major worldwide hotel chain in a real estate portfolio restructuring. Assisted international corporations and ultra high-net-worth individuals in setting up tax efficient business and asset holding structures both offshore and domestically. Assisted in providing tax-structured leasing advice to leading European banks. Assisted a Russian zinc producer in its winding-up process. 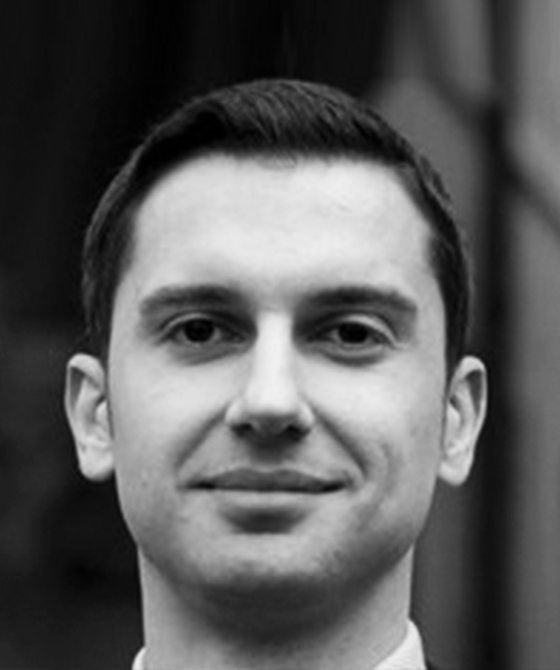 Nikolai Lazarev is qualified to accept instructions directly from members of the public and professional clients under the Direct Public Access scheme.